Viknesh Vijayenthiran November 6, 2018 Comment Now! 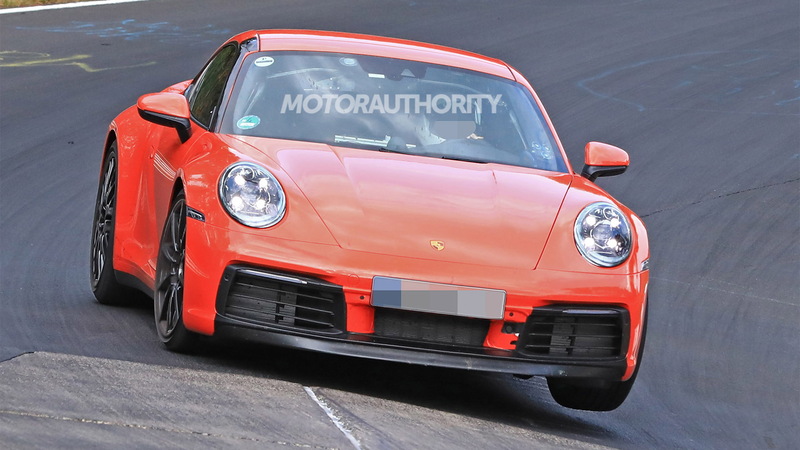 Porsche is out testing prototypes for its next-generation 911, the 992, which will be hitting the market next summer as a 2020 model. 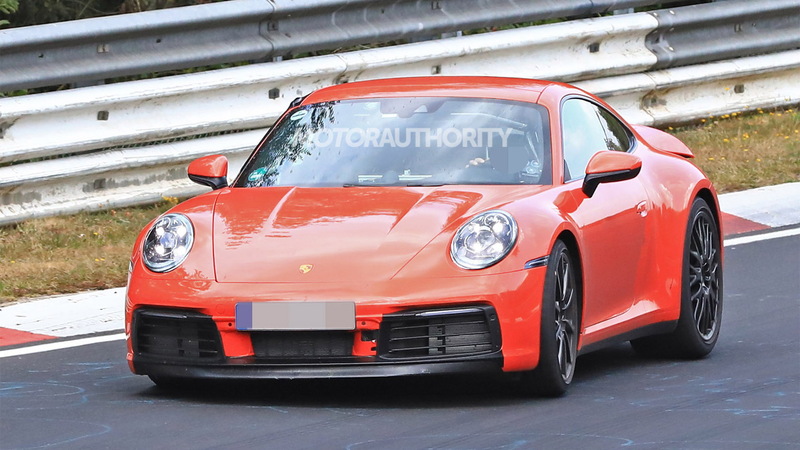 The latest prototypes, which show both the Carrera and Carrera S, are almost completely devoid of camouflage gear, and they also reveal most of the interior including a new digital dash. Most of the new details can be found at the rear which sports a wide spoiler spanning the width of the car. The taillights also consist of one long strip that appears to follow the curve of the rear spoiler’s leading edge, and the exhaust tips are positioned slightly closer to the center of the rear bumper. It also looks like the rear intakes are larger than on the current model. 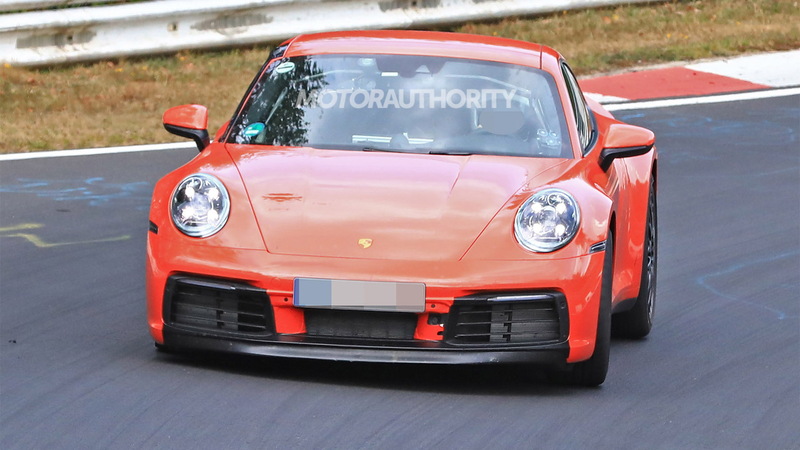 And at the front, we can see that the headlights are positioned at a slightly different angle than on the current 911. 2020 Porsche 911 spy video from Motor Authority on Vimeo. 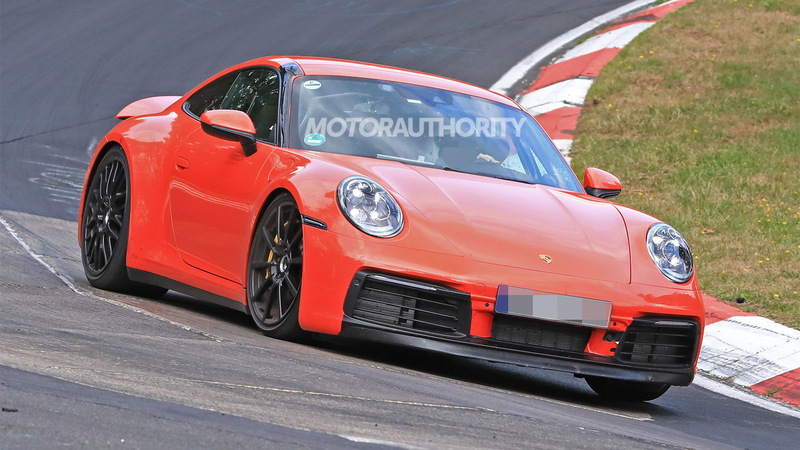 From the earlier test mules, we know the next-gen 911 is slightly wider than the current model, as evidenced by wheel arch extensions the engineers tacked on. In fact, all variants will come in a wide-body design for this generation. Underpinning the car is believed to be an updated version of the platform in the current 911. The updated platform has greater flexibility when it comes to positioning of the engine and suspension hardware. It will also enable Porsche to finally add hybrid technology to the 911, and possibly on more than one model. The greater engine position flexibility could lead to a mid-engine model at some point. Porsche already has a mid-engine 911 race car, and execs have hinted at a mid-engine 911 road car. Sadly, plans for a standalone mid-engine supercar from Porsche, the oft-rumored 960, have been put on the backburner to free up resources for the development of electric car technology. 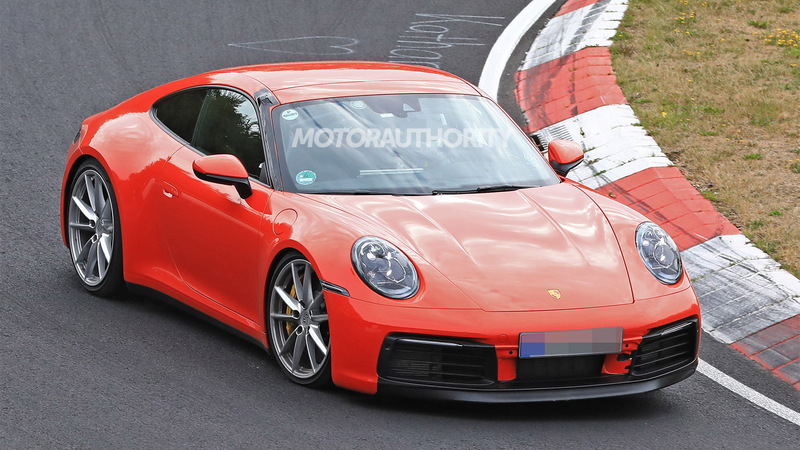 Expect the next-gen 911 to initially arrive in base Carrera and Carrera S models. Shortly after the debut of the coupe, we'll see the convertible. Power for both will come from the same 3.0-liter twin-turbocharged flat-6 that debuted in the 2017 911. The engine at present delivers 370 horsepower and 331 pound-feet torque in the Carrera and 420 hp and 368 lb-ft in the Carrera S. Expect slightly more output in the new 911 Carrera models. It's rumored that the debut will take place in November at the 2018 Los Angeles auto show.